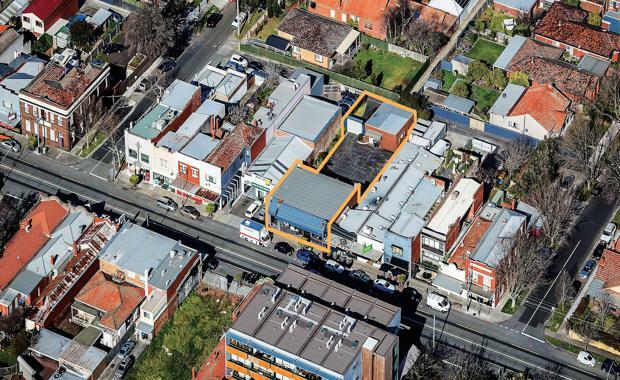 A freehold showroom and land holding with a mixed use development permit in the heart of Malvern East will be up for auction this month. The property will be auctioned on Thursday, September 24 at 1pm on site by Teska Carson. Located at 280-282 Waverley Road, within the Waverley Road Village, the property comprises a single level, 295 sqm showroom currently being utilised as a photography studio. The 704 sqm site, zoned Commercial 1 under the City of Stonnington Planning Scheme, has frontage to both Waverley Road of 15m and to Terminus Lane of 15m the latter providing access to secure on site car parking for 11 cars. According to marketing agents, Teska Carson’s Michael Taylor and Tom Maule, the prime freehold property offers significant upside in its suitability for a variety of uses. "This outstanding freehold property is suitable for owner-occupation, investment or development (STCA) with its main road exposure, excellent frontage and flexible zoning providing purchasers with multiple options,’’ Mr Maule said. He said a planning permit had been issued for the construction of a three storey mixed use development comprising ground floor showroom/office, first floor offices and second floor apartments. Mr Maule said the highly exposed location offered easy access to a number of Melbourne’s major arterial routes, Melbourne’s CBD, public transport and CityLink, together with many other lifestyle amenities in the well-known and strongly performing Waverley Road retail precinctMr Taylor said Malvern and surrounding suburbs had, in recent years, seen significant growth and an upsurge in popularity due to a number of high profile developments that had either been completed, were under construction, or were in the planning stages. "Recent development in this area provides an indication of just how attractive it is and the likelihood it will continue to provide property owners and purchasers with strong investment growth and development opportunities,’’ Mr Taylor said.